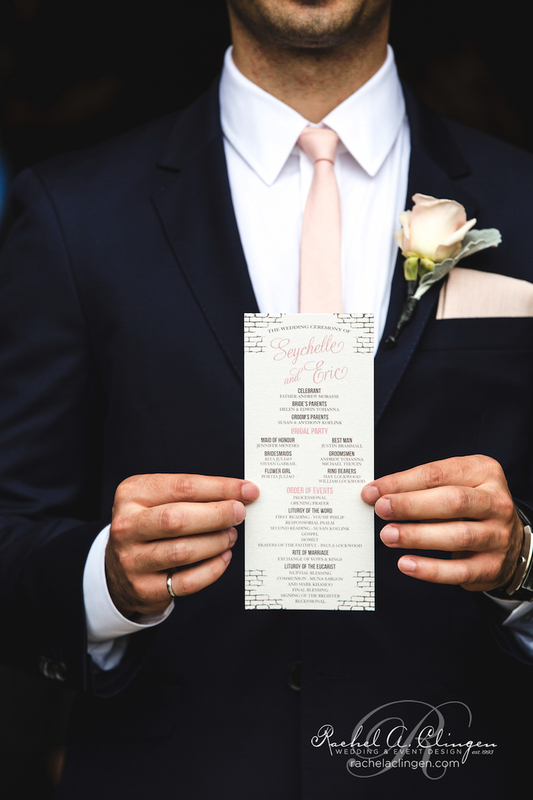 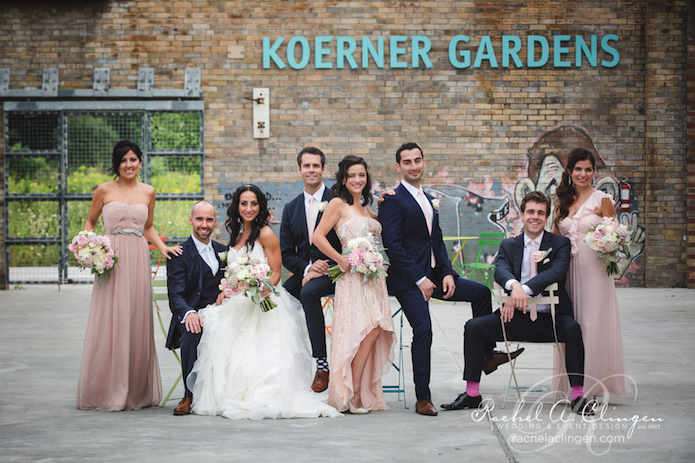 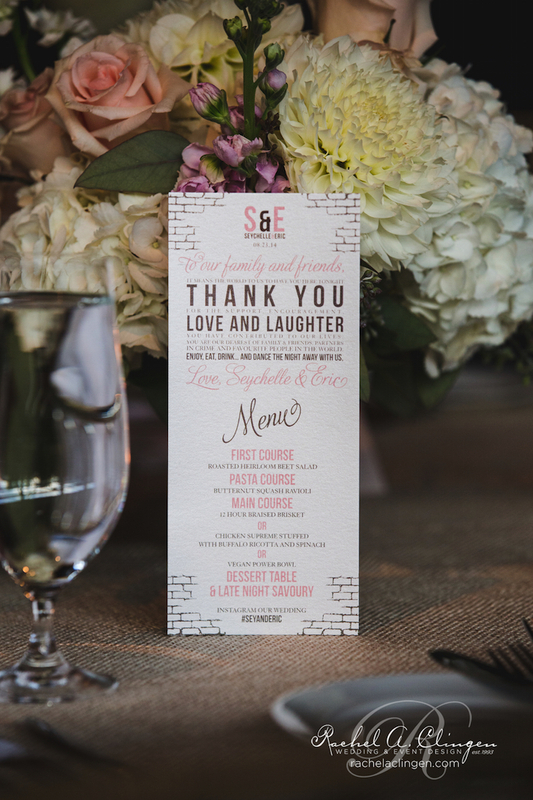 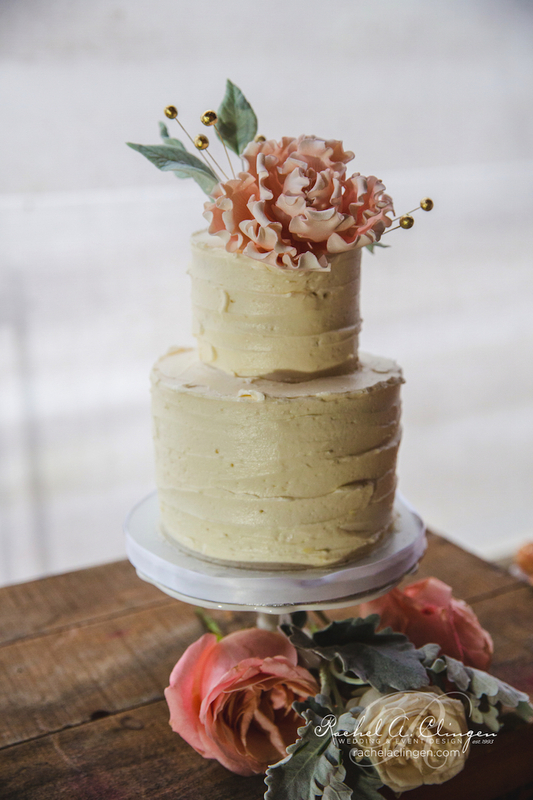 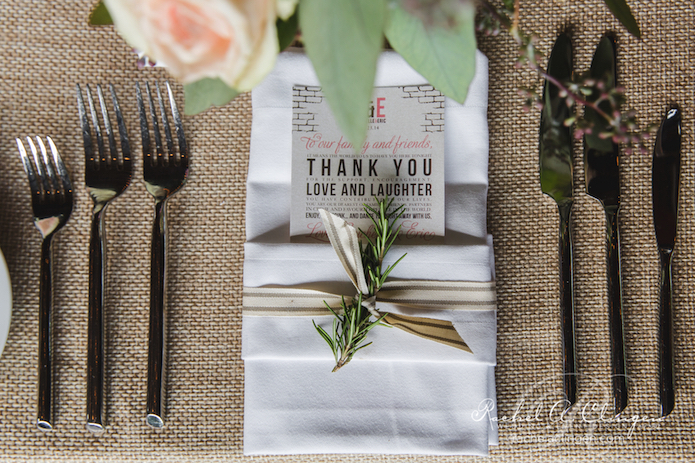 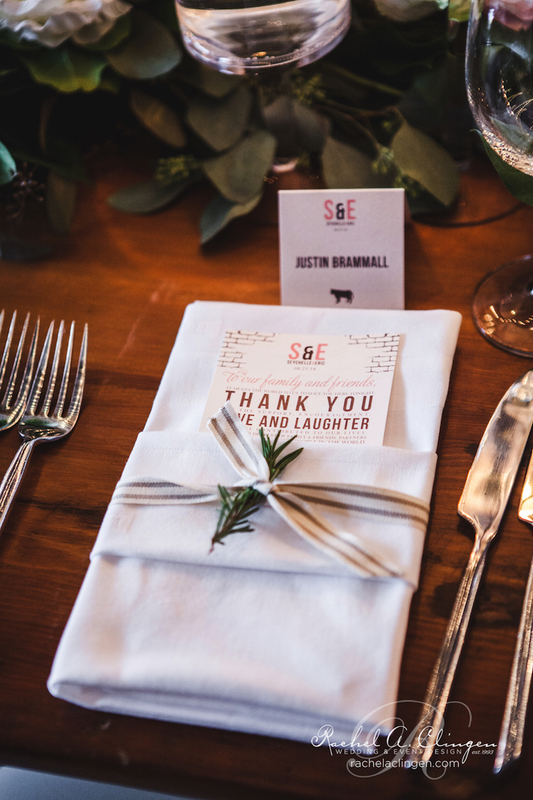 The Evergreen Brickworks event venue in Toronto was the perfect place for Erik and Seychelles rustic chic wedding. 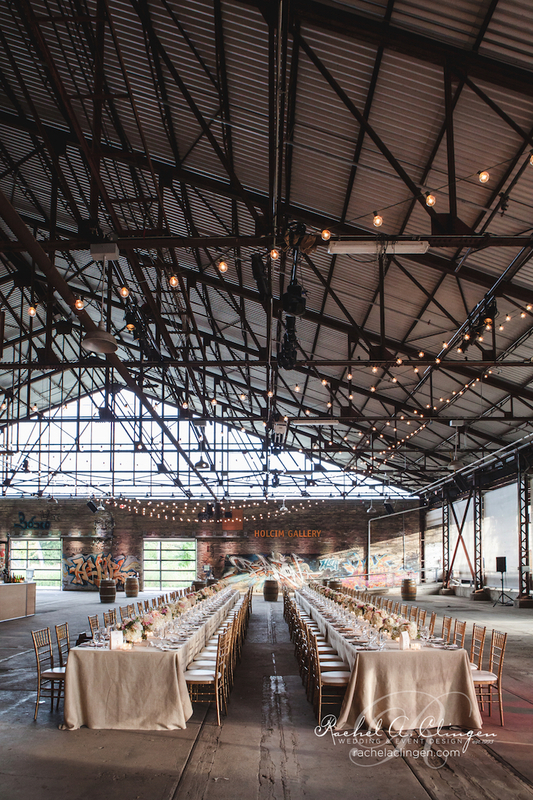 This historical gem is a restored event space with a trendy vibe. 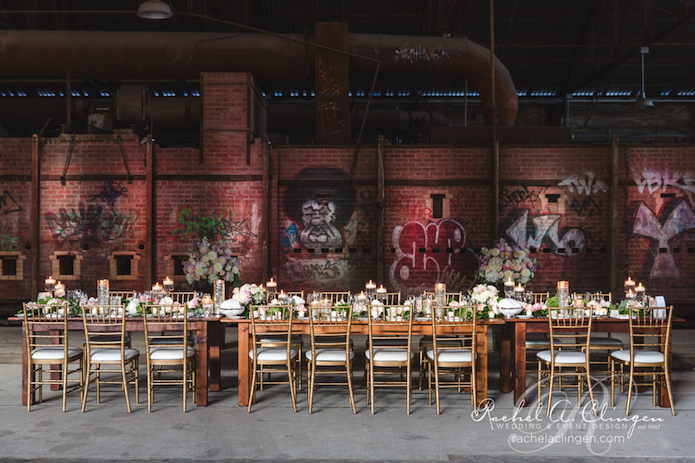 Lots of exposed brick, and wood give a rustic and hip feel. 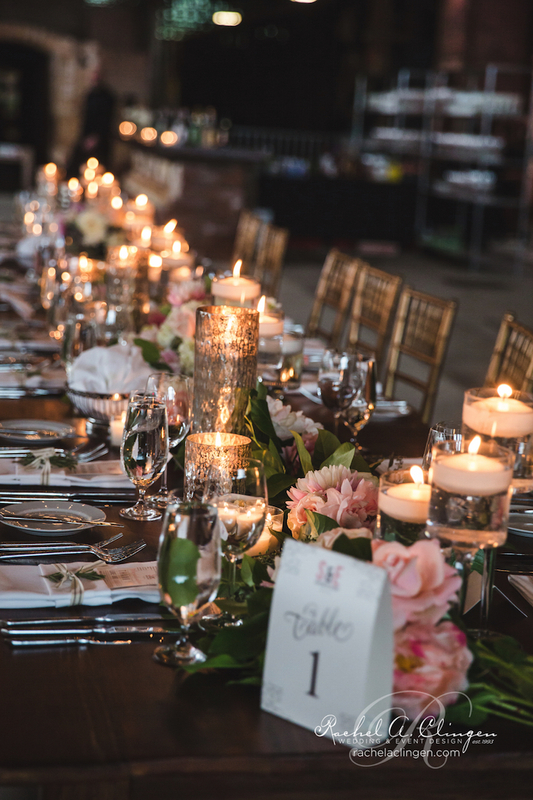 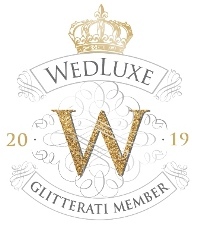 This wedding was recently featured in the pages of Elegant Wedding Magazine and we are thrilled to share it with you! 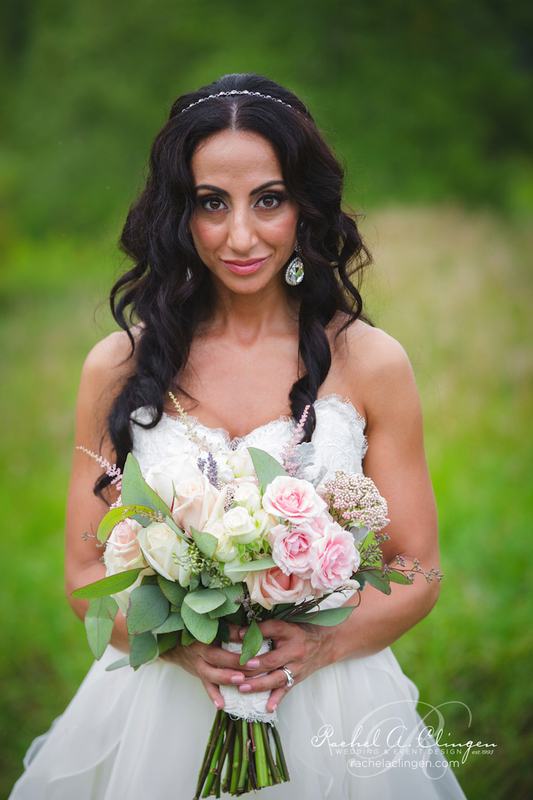 Our pretty decor and flowers was an eclectic blend against this rustic space. 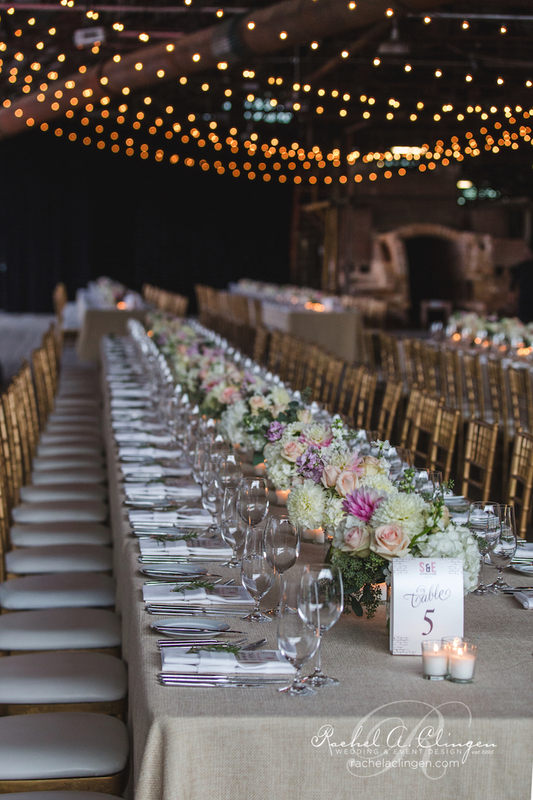 Together with our friend and wedding planner Laura from Laura & Co. Events, we created a elegant and romantic space amongst the rustic framework of the room. 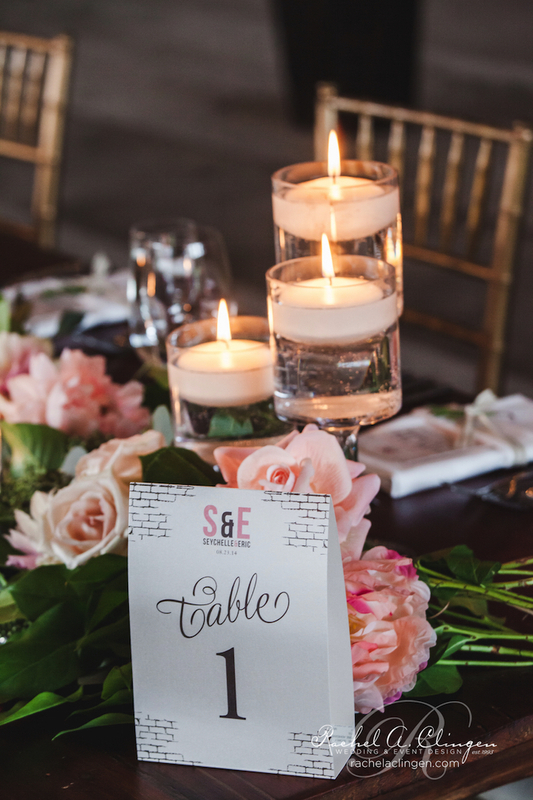 The gallery tables lined with hand tied floral arrangements of hydrangeas, dahlias, roses and foliage in mercury vessels along with layers of candles welcomed the couples’ guests. 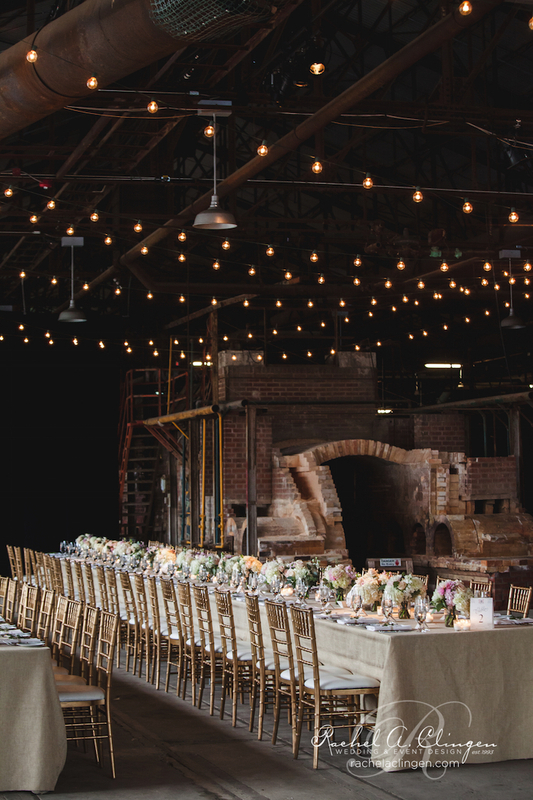 Stringed market lights were suspended over wooden gallery tables and added to the rustic charm of the evening. 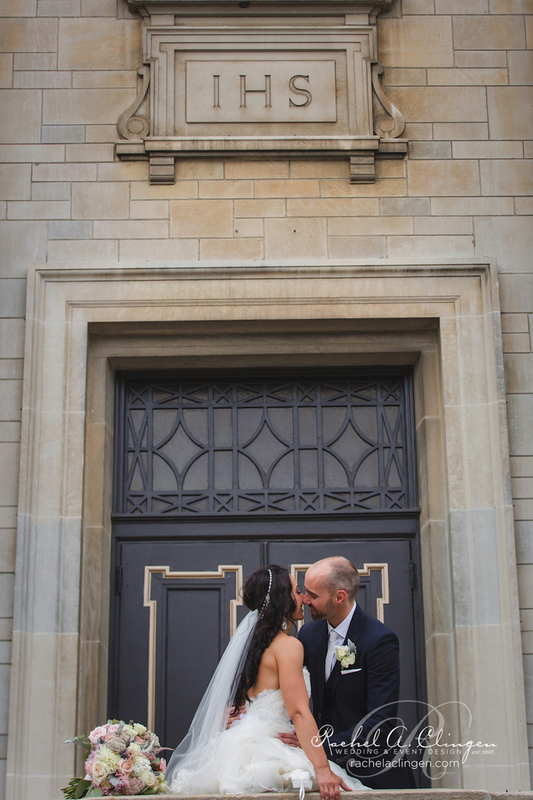 What a pleasure to work with this lovely couple. 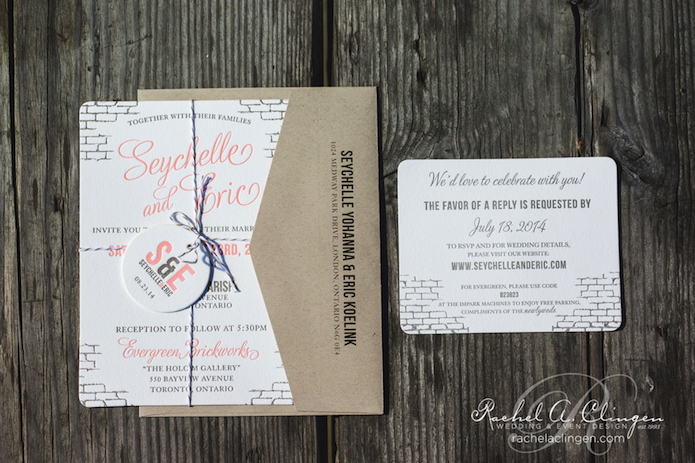 Congratulations Seychelles and Erik. 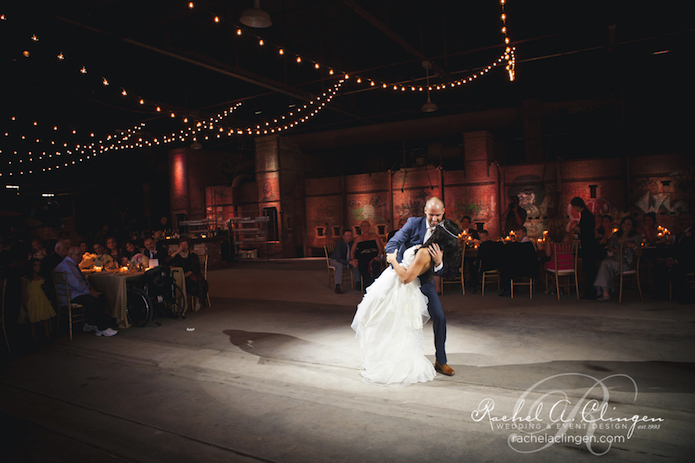 Thank you to Wandering Eye for sharing these beautiful images with us! 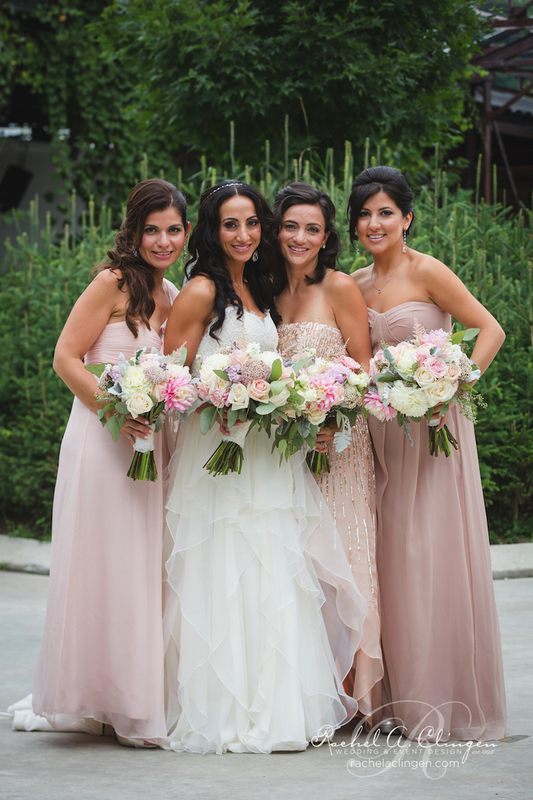 For always stylish decor and flowers in the Toronto area visit us at www.rachelaclingen.com.